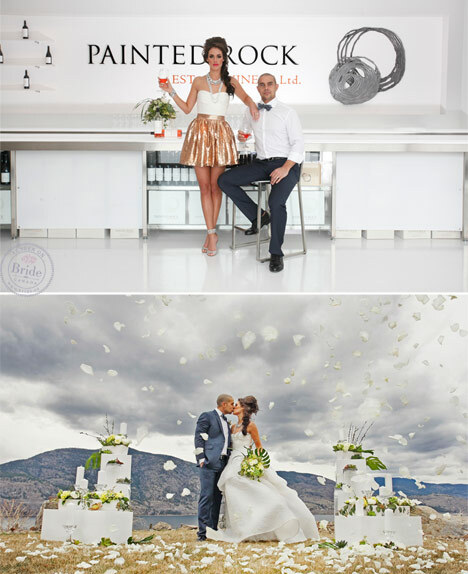 This beautiful Painted Rock Estate Winery editorial, produced by Erin of Filosophi Events combines, beauty, edge, drama, AND style. 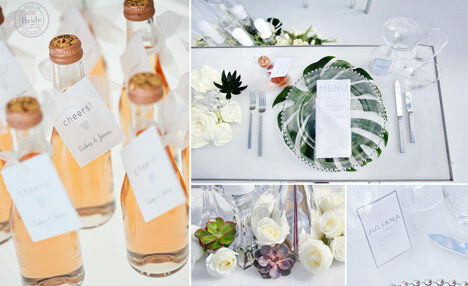 The location is stunning from every angle and the overall result is a perfect inspiration shoot for the modern bride. We for one expected nothing less from the talented team at Filosphi! Brandon, of Brandon Elliot Photography, deserves a special mention for the stunning photographs that he captured for this editorial. There were so many amazing frames to choose from, we had a terrible time narrowing it down! Be sure to click on the photos to see even more of his incredible shots in our collages. 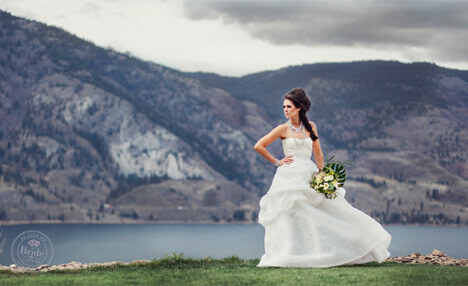 The beauty of Monique Lhuillier's 'Bellflower' from Bisou Bridal is a perfect juxtaposition against Painted Rock's mountain backdrop. 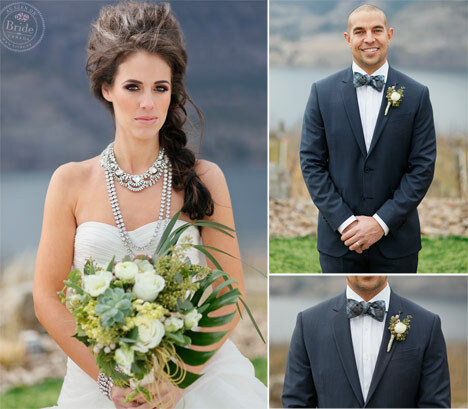 The bride's high-volume braided up-do and striking makeup were done by Jenny McKinney of Jenny McKinney Makeup Artist. Her striking crystal statement necklace is by Elsa Corsi and is stacked with even more sparkle from Jeweliette in Vancouver. The dapper blue suit and plaid bowtie were provided by the style afficionados at Baracos + Brand. 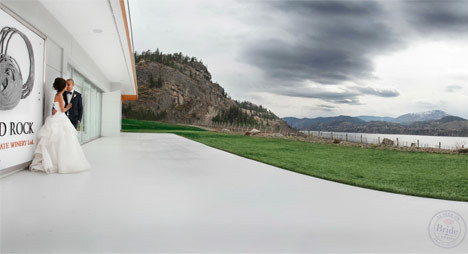 The architecture of Painted Rock Estate Winery provides the perfect setting for a modern wedding theme. Another benefit of such beautiful vistas at every angle? Every seat promises to have the best view in the house! Lucite is an excellent choice for your table and chairs if you would like a space's natural beauty to shine. 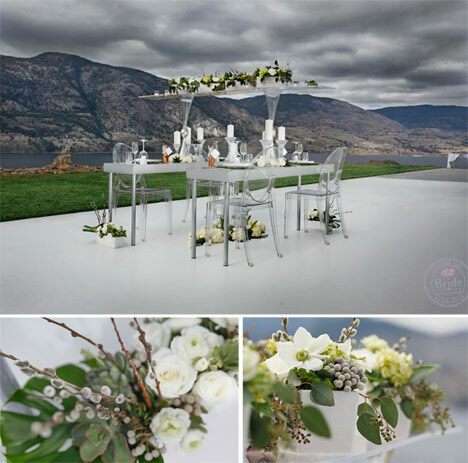 True to their name, Edgy Petals, created edgy floral arrangements that fit with the desert landscape perfectly. The light tones of the stationary suite from Design by Dainty look fantastic against the lucite chargers from Pedersen's Event Rentals. 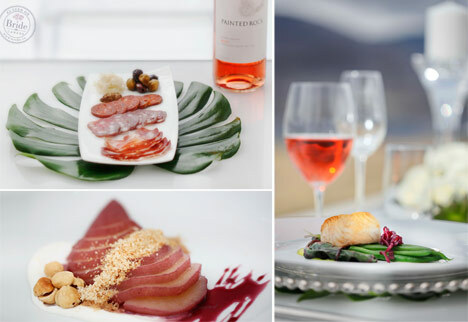 If the food prepared by Joy Road Catering looks this delicious on screen, imagine how amazing it must taste! Guests always mention delicious food when they are reminiscing about excellent weddings and Joy Road Catering clearly promises to deliver. It can be a good idea to have your wedding cake designed to complement both your wedding theme and the venue since the venue is the backdrop for your cake. 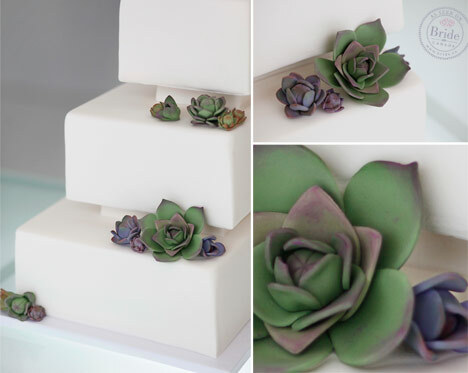 That is exactly what the Sugar Sweet Cake Company did when they designed this modern white fondant wedding cake with succulent accents. This is a great wedding photo idea; we expect a lot of brides will be pinning this photograph by Brandon Elliot Photography! 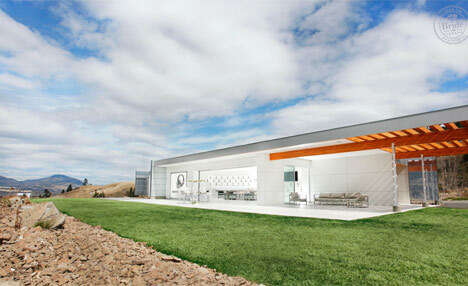 The tasting room at Painted Rock Estate Winery offers the perfect location for your wedding cocktail hour or cocktail reception. 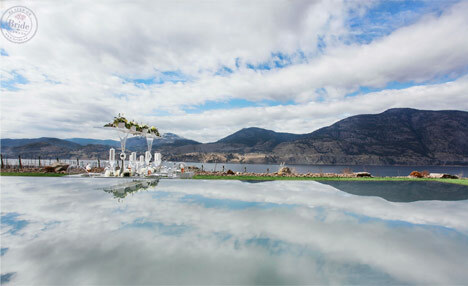 a stunning backdrop to say 'I do'!